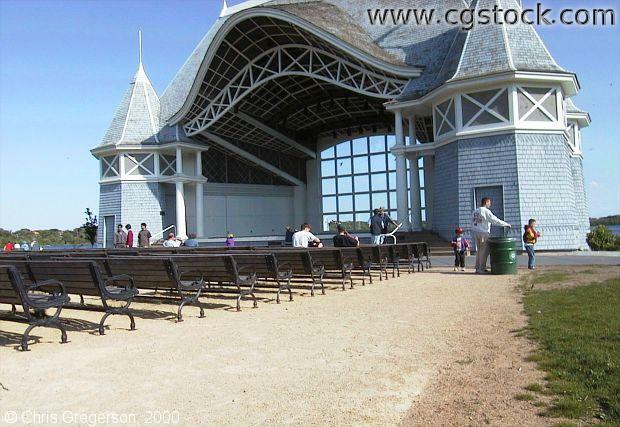 This is a view of the seats and stage at the Lake Harriet bandshell. This was taken on Mother's Day, 2000. Soon there will be regular concerts here in the evening, once the schedule starts up for the summer.